This is longer than usual, but I feel it is excellently put and I hope it will evoke thoughtfulness in my listeners. I woke up some months ago in my house in the third largest Danish city. We live in a mixed neighbourhood. My youngest child, a boy10 year old, was up already. He likes to walk to school and hang out with class mates half an hour before the teacher arrives in the class room. My two girls at 12 and 14 years leave the house later on their bikes. This morning the youngest girl forgot her lunch bag. The Danish public schools do not provide food. So I had to get on my own bike and head for the school. I went into the school, found her home class and delivered the food. I found nothing of this strange. Now a day I wake up in a rented house in Staten Island, again in a mixed neighbourhood. My boy is still up early but he cannot go to school early. They are not allowed to enter the school or the class rooms without supervision. My middle child also had to change routine. We were advised by the New York school authorities not to let her go to school alone as she has to pass a rough neighbourhood. So I take her. But I cannot follow her to class. After showing identity card to two armed officers I am only allowed to enter the schools main office. The rest is closed territory. My oldest child still goes alone to school. But she cannot take a walk during lunch break as she is used to. She is told by the armed officers at the high school that she is not allowed to leave the cantina. For me and my children this is strange. It should not have come as a surprise for me. I have spent a couple of years of my academic life on writing a book about how social trust eroded in the US, while it increased in Denmark. Despite the fact that crime rates over the same period have decreased in the US and remained stable in Denmark. Unemployment has also been high in Denmark. So have divorce rates and the number of children living with single mothers. Denmark has even had a large inflow of migrants and regular attempts of terror attacks after joining the US in Iraq and Afghanistan. Sure, Denmark does not have the same amount of firearms in circulation. That probably makes a difference. But most importantly Denmark has kept poverty rates and general levels of economic inequality low. We have not come to the US to make our children afraid of Americans. So in front of the children we downplay the security concerns as much as possible. But this is not an easy task as American institutions seem to revel in security concerns. When I picked up my boy from elementary school, one of the nice teachers loudly told a third grader that she should go directly home and not get into cars with unknown men. The day after we received an email from the high school that contained the names and photos of sexual offenders (that have done their sentence) in the ZIP-code. We decided not tell our girls about the e-mail and these men. But the next day the middle child got the same message in a printed paper version. Her language skills are not so good yet but she picked up the message from her 7th grade class mates. It was simple. Just run if you see these persons on your way home. This is unfortunately more than just a small cultural curiosity. Political scientists, sociologists and economists have within the last decade provided evidence for the crucial importance of trust in making democracy, the civil society and the economy work. In low trust environments people are reluctant to solve problem collectively, they are reluctant to mingle with fellow citizens and they are afraid of making business arrangements at the free markets. Therefore security concerns are not only a private matter. The way mass media, public institutions and politicians portray fellow citizens is a common concern that needs to be reflected upon. The problem is, however, that once a cultural of fear has been established, it is extremely difficult to change. 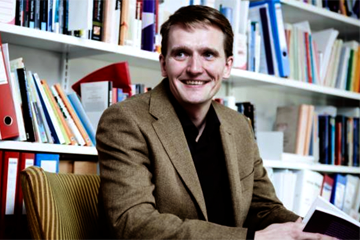 Christian Albrekt Larsen, Professor, Centre for Comparative welfare studies, Denmark. Visiting Fulbright scholar at Hunter College. The author of “The Rise and Fall of Social Cohesion. The Construction and De-construction of Social Trust in the US, UK, Sweden and Denmark” (Oxford University Press, 2013). NextSurvey #1 Results & a Gift for You!